When you choose to take on the services of a security company to monitor your CCTV security you can take advantage of reduced bills at your home or the reduced outgoings of your business. 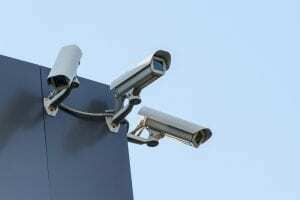 This is made possible because rather than employing multiple security guards to cover all areas of your premises or grounds on foot, you simply need to employ people to monitor your cameras. The task of monitoring security camera systems requires less staff than patrols around your property, therefore it can be assumed that you will be able to save money by employing T-Class to take care of CCTV surveillance for your company. With CCTV security, you are assured of 24 hours a day surveillance 365 days a year. Activities which take place at your home or office is covered depending on the positioning of your cameras and how many you have installed. This is opposed to the crossover of shifts between security staff where for a period of time, albeit a small one, there may be areas of your property which are not covered and are therefore less secure. The presence of CCTV acts as a fantastic deterrent to people who may be looking to break into your home or business property. The possibility of being caught on camera can be enough to prevent an attempt to illegally enter the building as well as reducing the likelihood of arson or acts of vandalism. 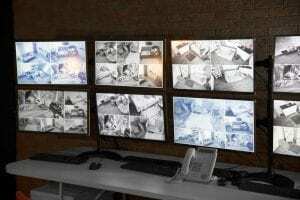 Due to the clarity of cameras these days, and the fact that many devices offer instant alerts, the chances of speedily catching any intruders are as high as they have ever been. Potential intruders will be aware of this and seeing cameras in place is often enough to put them off continuing their planned intrusion. While security guards are a tried and tested way to protect a property, they allow for the possibility of human error (though we stress this does not occur with manned guarding supplied by us!). CCTV security monitoring systems allow you to consistently see everything and all areas of your property that you wish to monitor. A reduction of human error can also see a reduction of unnecessary police call-outs too while CCTV security cameras also offer home and business owners peace of mind. To learn more about our array of services you can get in touch with our helpful, supportive and highly qualified and accredited team by calling 020 3794 8182. You can also contact us via email at info@t-class.co.uk.